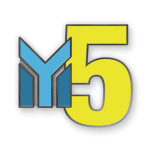 My5 is a challenge to all students and sponsors to each give $5.00 to the weekly camp offering, collected on Thursday evening in the worship service. 100% of the offering will go to help missions efforts. Communicate to your students before camp the need to be prepared to give on Thursday night. If every person participated in the My5 challenge, our offering at Falls Creek would be more than triple that of years past. Let’s challenge our students to be generous, cheerful givers! You might even want to start collecting monies for this project before camp and come with extra money to give. What does this offering support? 100% of the offering goes to provide scholarship monies for students going on GOStudents trips the following summer and to provide support for our adopted OneLife Project from the International Mission Board. In 2018 the adopted IMB OneLife Project was One Safehouse. The ministry provides sanctuary and helps for women rescued from human trafficking in China. During the summer, students and sponsors gave enough money to pay the rent on the facility for a whole year! Information will be coming soon about the project for 2019.